The Senior Men's and Women's Nationals tournament is an annual event in which New South Wales, Queensland, and Canberra state teams combine to create an East Coast team to play teams from Western Australia, South Australia, Victoria and often international guest teams. We are looking for experienced and dedicated players, support staff and officials to represent the East Coast in Men’s and Women’s in Australia’s premier Lacrosse Tournament. This year the women’s tournament will be a day longer as the Australian U19 team will also be participating in the tournament. If you are interested in playing for the East Coast All Stars you MUST fill out the Expression of Interest form here before 30 March 2019. Fill out the 2019 Player Expression of Interest form. 2019 Registration required: go to www.nswlacrosse.org.au for NSW players. QLD players contact your local team about registration fees. ASADA: Levels 1 and 2 must be completed and certificate sent to performance.nswlacrosse@gmail.com. If you have previously completed L1 then they only need to complete L2. Selectors, coaches, officials, players and managers must all complete this. Cost for Selection Weekend: $80 (Invoices will be sent directly - due April 5th ). This cost is non-refundable after selection weekend as it covers selection weekend costs. Coaches will be provided with separate accommodation and uniforms at no cost. If flights to Sydney for Selection Weekend are required, these flights will be subsidised up to $200. Coaches are responsible for the cost of flights to the tournament in Melbourne and any meals or incidentals. Anyone taking part must be registered with NSW Lacrosse for this year (Register Here) and training fees for this 18 week period is only $15! For more details, events and updates you can find us on our Facebook Page here and Facebook Group here. Team Managers - Where you at? Calling all team managers! - NSW Lacrosse are looking for nominations for team managers to look after our state teams for 2019 and specifically for the Nationals coming up in June. If you are interested please fill out the form on the below link or if you have any questions let me know. 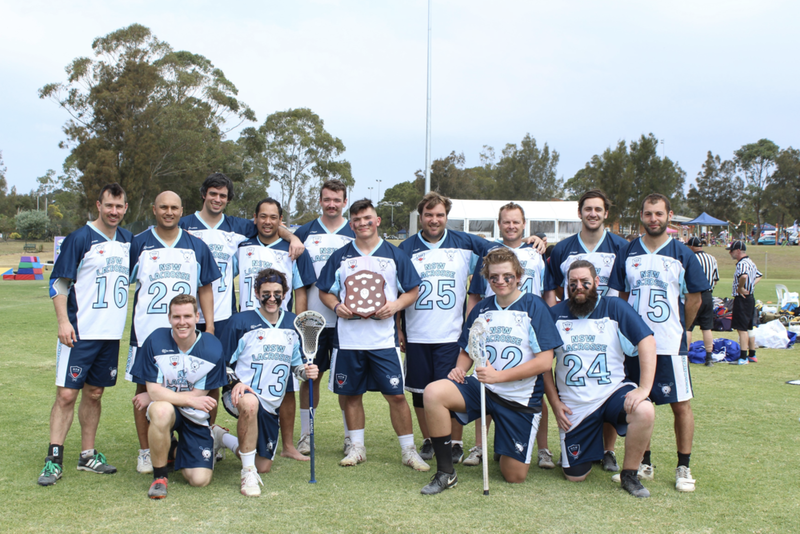 New South Wales Lacrosse Club recently had the honours of hosting a series of matches against mixed Division III collegiate teams from the US. It was really exciting to be able to play on home soil in front of family and friends, increase local exposure for the sport, and #growthegame. The Men's game was a historic one, as it was the first ever lacrosse game played on the UNSW Oval. The NSW Men played under the lights with the support of a home crowd and while the end score wasn't super close, the Wombats had several scoring opportunities and started to play together as a unit in the final quarter. It was great to get so many guys come out to represent the State on a Friday night under the lights! A week later the NSW Women faced two teams of young and fit athletes. We started the first game by notching a couple of quick assisted goals, but the teams from the US managed to out-pace and out-possess us. It was a beautiful day for some competitive matches and celebrating the sport that we all love. New South Wales and UNSW Lacrosse both hope to host and coordinate more competitive matches like these later in 2018 and into the future. We would like to thank UNSW Lacrosse, notably Jonas Hël Lãr, for organizing all the details and Juliet Austin for coordinating a very successful series of games (and sacrificing her ankle umpiring for the men). Also thanks to Adrian Burns for being an absolute legend and umpiring over 6 hours of umpiring and dealing with our unending backtalk. Love also to Caroline McLuckie and Tyler Nolf for being excellent umps, teammates, and volunteers! The 2018 ALA Senior Nationals Tournament was held from 7-12 June at Wembley Lacrosse Club in WA. The East Coast was proud to send a women's team for the third year in a row, and a men's team for a second consecutive year. With massive improvements in results and competition for the women, two East Coast player being named to the Tournament Allstar team and consistent and perseverant performances from our men, the 2018 Tournament was a massive success for the East Coast All Stars. The first game of the tournament showed the difficulties of having squad members living in different capital cities and not being able to train together. The squad performed admirable but were still getting used to playing together. We were able to score twice but WA were relentless and ran over us in the second half to take the game 31-2. The Allstars played their strongest team defence of the tournament in the tournament opener against eventual champions, Western Australia, For a game where WA absolutely dominated possession the defensive team led by Bec Putna, Savannah Jane Duncan, Danielle Schaffer, and Katelin Organ stepped up and played together to shut down many scoring opportunities. The end result was 20-3, with two goals from Annabel Williams, and one from Clare Stewart-Hunter with well deserved MVP honours going to the cornerstone of our defence, Bec Putna. The defence were standing tall in this game. They played well under the continued attacking play of SA. The forward structure that we played in this game didn’t work and we also had problems with our transition play. The squad never gave up and fought hard to the end. SA took the game 19-0. This was the game that NSW Women we were waiting for, but unfortunately we came out flat for our second game against a less experienced, but hungrier President's Team. Missing the cohesion on team D, losing the draw and 50/50 balls, and forcing errors in transition meant that we never fully controlled the pace or possession. The end score was 17-8, with most goals coming from assists. Emma Agnew notched 3 and earned MVP honours, Clare Stewart-Hunter and Melie Pemberton scored two a piece. Taking on the favourites the squad took to the field with a nothing to lose attitude. Our keeper was outstanding and was well backed by our defensive line who threw everything at Victoria. Out transition play and a new forward structure worked well in this game. It was great to see our younger and newer players step and take on the best in the country. As the game progressed the fight and “never give up” attitude of the squad won over the Perth crowd. The cheering and support for us was fantastic. Victoria won 23-2 but the team had played an awesome game. Victoria was always going to be a tough match, they are consistently strong and relentless. Our women came out determined to improve on our result from last year and we certainly did that. We kept Vic to 24 goals while netting 5 ourselves with 3 goals and an assist from MVP Melie Pemberton, a goal and an assist from Abigail "Fuego" Sands, and 1 goal from Annabel Williams. Melie led the team by example in hustle, poise and finesse. This game would be the battle for third place. The team came out confident that we could improve on our first game against SA. Everyone contributed in the first half and we headed into the break down 2-7. In the second half we took it up to the South Australians and played our best half of lacrosse for the tournament. We held SA to 6 goals whilst scoring 5 goals ourselves. Final score SA 13 - East Coast 7. A fantastic improvement on game 2. With a 100% chance of wind and rain we started our warmup, keen on a rematch from two days earlier. We started the match, cold, wet, and a bit flat and it took us two quarters to find our pacing and start playing like the team we knew we could be all tournament. The final result was 19-8, but that was in no way a reflection of how well we played or how many shot opportunities we had. 4 goals came from Emma Agnew, 2 from Britt Faulkner and 1 from Annabel Williams, who fully deserved her MVP honours. Most goals were assisted, and most shots were on cage against a very talented and promising keeper. From my perspective as coach I knew this tournament was about development. It was to improve our younger and newer players and give them more experience in big games and to further develop their game. The squad improved tremendously over the tournament and improved on 2017 results. performance, improvement and fighting spirit of the team! The coaching combination of Lynton, Omar, and Britt are so incredibly proud of Annabel Williams and Melie Pemberton for making the tournament Allstar team. The honours are so well-deserved and reflective of the time, energy, effort, and commitment put in my teams and players on the East Coast (and especially Annabel and Melie) in developing the game to a competitive standard. I fully believe that we will only continue to improve on our results as we gain more and more confidence in our national game. We know our competitive weakness lies with our lack of full-field, regular, intense competition, and we will be making adjustments in the off-season to come back stronger and better than ever in 2019. The 2018 East Coast Cup was played over the weekend of 5-6 May at The University of Queensland lacrosse ground. The annual tournament is a celebration of the growth of the game on the East Coast. It was immediately evident that the hard work put in at training over the past few months was paying dividends. Our forward line was patient and methodical and the defence were disciplined and very effective. By half time we had control of the game. Queensland put up a great fight in the second half, but we took the game 14 goals to 9. In between senior matches the Queensland side organised a match for juniors. It was so inspiring to see kids of all ages enjoying the game we all love! The New South Wales started strong by netting a few fast goals within the first few minutes. Melie Pemberton (C) was named MVP for dominating all over the field with 4 goals, 3 assists, 7 draw controls and 5 ground balls. The attack saw 14 goals come from 6 different players, most of which were assisted. The defence was led by Bec Putna, with some impressive saves by both keepers, Savannah Duncan (C) and Tess Clancey. The women kicked things off Sunday morning. A very competitive 60 minutes saw 15 goals from 8 different players, including an incredible off angle shot from our youngest member, Micayla Krauklis. Well deserved MVP honours went to Emma Agnew for 5 goals, multiple assists and 2 caused turnovers. As a coach, I'm super proud of how we played together as a team - most goals were assisted, the team stepped it up on defence and redefending, and the team was led by a super strong and selfless midfield squad. We're excited to take this team to Nationals (with Danielle + Tash) and show the other states how much we've improved since 2017. Captains Melie Pemberton and Savannah Duncan with the shield. The men's side were fortunate enough to start with a fully fit squad. The first half was a great and fiercely contested with NSW going into the break with a 4-goal lead. Early in second half Queensland pulled a couple of goals back. After a time out, the team settled and dug deep and really played some great lacrosse. We went on to 16 goals to 7 victory. With victory on the Sunday NSW retained the East Coast Cup. As the Coach, the winning of the tournament was great but there were a number of things that I found pleasing also. The defence played brilliantly and stuck to the plan. Their communication and read of the play was exceptional. Very disciplined play across both games. Our keeper was as usual, fantastic! Our midfield worked tirelessly providing great support to our hard working face off players. The transition play of our midfield players was excellent. Our attack line was fantastic. The experience of the attack showed with their patience and continual movement of the ball to open up the Queensland defence resulting in goals. stepped up and delivered when it counted. They are improving every game. everything asked of you, played hard and made our tournament successful. Captains Michael I-i, Jack Stokes and Omar Al-Khayat with the shield. The coaches would like to thank Caroline McLuckie, for her effort in organizing everything and for being an amazing manager. Thank you to Queensland Lacrosse for hosting a fantastic tournament and for great matches played in the true spirit of the game. Thank you to all of our supporters and match officials. A big congratulations to all the players and support staff who have been chosen to represent New South Wales, the East Coast, and Australia in upcoming interstate competition. **Due to lack of expressions of interest there are still spots available. If you are interested please contact Caroline asap: performance.nswlacrosse@gmail.com. We are looking for experienced and dedicated players, coaches, SUPPORT STAFF and officials to represent the East Coast All Stars lacrosse in interstate competition for 2018. The Senior Men's and Women's Nationals tournament is an annual event in which New South Wales and Queensland state teams combine to create the East Coast All Stars to play teams from Western Australia, South Australia, Victoria and often international guest teams. This year we are looking to send an experienced Men's and Women's team to Western Australia to represent the East Coast in very competitive play. Will need to be there: Wed 6th night - Mon 11th for training and the ceremony on Sunday night. If you are interested in playing for the East Coast All Stars you MUST fill out the Expression of Interest form here before 11 March 2018. Fill out the 2018 Player Expression of Interest form. 2018 Registration required: go to www.nswlacrosse.org.au for NSW players. QLD players contact your local team about registration fees. If you are interested in helping referee, umpire, manage, select teams, or coach please fill out our Support Staff Expression of Interest form. Coaches will be provided with accommodation and uniforms at no cost. If flights to Sydney for Selection Weekend are required, these flights will be subsidised up to $150. Coaches are responsible for the cost of flights to the tournament in Perth. Coaches must be able to work on training plans together and with Omar for fitness that is suitable to the teams needs. Selectors are not expected to come to Perth but will be required at the selection weekend. Flights to training weekend subsidised up to $150. Can be trainee officials which appropriate training will be given. Flights to Perth will be covered. Encouraged to attend U18s at end of March for further onfield training (again, flights covered). NSW officials are provided with a shirt, whistle, cards and flag on passing online course. Expressions of Interest close 18th March. Please click here and fill out the Google form to be considered to play for New South Wales in this year's tournament. Covering: Accomodation for 2 nights, team equipment baggage, tshirt, coaches accomodation, share of tournament running costs, sundries. Invoices will be sent out within 2 weeks of submitting your EOI. Costs will be finalised prior to payment #3. If you are not selected for the team you will be refunded all monies less any money outstanding for training sessions, or for wombat tshirts. You will be provided with NSW state uniforms. We need to make sure that everyone has individual numbers – no 2 players can have the same so your preferred number will be checked on submitting your EOI. If not available we will be in touch. Your number will be YOURS for 2 years from when you register it with performance.nswlacrosse@gmail.com. Personalised numbers can only be from #30-99. You are expected to organise your own flights. This gives you flexibility to work around your schedule on the Friday and to choose flights that fit in with your budget. Selection for the NSW state teams will take place 24-25th March as part of the national’s team selection. Team will be announced within the following week. Field training takes place every Sunday from the 25th February 2018. Your attendance at the sessions will be noted towards selection. You must be a registered 2018 member with NSW Lacrosse to take part in any NSW Lacrosse training sessions or tournaments. You can register for membership through the website www.nswlacrosse.org.au and click register now in the upper left hand corner. As part of qualification for state team you must have successfully passed the online ASADA Level 1 and Level 2 courses. Level 1 only needs to be taken once but Level 2 needs to be taken annually. To take these courses go to: https://elearning.asada.gov.au/ and email your certificate through to performance.nswlacrosse@gmail.com. Your certificates need to be submitted prior to the training weekend in March. We are very proud to announce the appointment two new head coaches to lead the East Coast charge against the rest of the country in the 2018 Senior Nationals. Please join us in welcoming the years of dedication, expertise and passion that these two coaches are volunteering to bring to our teams. “There’s only so much one can say about why I love lacrosse, it’s fast, it’s exciting, it’s skillful and it’s hard hitting. But the main reason I love lacrosse is the friendships that comes along with it and watching the players you have coached developed & grow their game." "Opportunity to work with people that I have never worked with before. Coming together in a short amount of time. Having a common goal and acting out that common goal." "I am married with 2 children, my son plays State League Men’s for East Torrens Payneham Lacrosse Club, my daughter is involved with Burnside Lacrosse Club where she played and now coaches & umpires. I am a Sales Manager for Fullhammer a sporting apparel company in Adelaide, South Australia." "My lacrosse career began as a 10 year old back in 1979 playing in the Under 12’s at Woodville Lacrosse Club. During my junior years I was selected to represent South Australia at National Championships. I played my first senior game with the Woodville B-grade team at the age of 14. I continued to play with Woodville until 2013 and played 200 plus senior games and scored over 300 goals for the Warriors. During my time at Woodville I was lucky enough to play in a number of Premiership sides. The highlight of those being in 2011 with the Division 2 team, undefeated season and shut out of the opposition in the grand final. Over the years I had some fantastic coaches including Australian Head and Assistant coaches. I won many individual awards during my senior career including the SA Lacrosse Association Best & Fairest for Division 2 in 2013." "Over the years I have coached junior teams and was a playing Assistant Coach for Woodville Div. 2 team from 2011-13. This year I have been mentoring online some of the members of the Ugandan squad that will play at the World Championship in Israel. In 2015 I had a stint in Sydney and was selected for NSW and played in the East Coast cup. In 2017 I played with Bayswater Rocks in the Hong Kong Lacrosse Open and the Hawaii Lacrosse Tournament. I decided to apply for the coaching position as lacrosse is my passion and I must be involved in the game. Lacrosse has given me so much over the years, the opportunity to travel and friends across the planet, and now it’s time to give back, I can’t keep playing forever! I have skills and experience that I wish to share with the next generation of players and be able to help grow the game. I would love to one day see a club competition in Sydney. I want to help East Coast improve and one day be a title contender for the National Championship." "Away from lacrosse I am a Site Supervisor for a Fire Sprinkler company. I also have the privilege of having a wonderful partner and 3 children. All of whom are extremely proud and supportive of what I have achieved in lacrosse on and off the field." Official Caroline McLuckie breaks down what the 2018 rule changes means for the Wombettes. All players must wear a intra-oral mouthguard which covers upper teeth. It can be of any visible colour other than colourless or white and must not have graphics of white teeth. At draw, 3 players from each team between centre lines (i.e. 1 at draw and 2 on circle). All other players must be below restraining line, including goalkeeper. Players may not cross restraining line until possession is determined by the umpires direction signal and verbal 'possession'. This means that on the whistle they still might not be able to cross if there is no clear possession i.e. ground ball. U15: 4 quarters x 15 minutes with 2 mins between 1+2 and 3+4 quarters. 6 min half time. You have to 3 behind (not incl goalie) i.e. in attack, have 6 attacking goal, in defense, have 7 defending goal. Restraining line foul is a major foul. Nearest player on the offside team will stand 4 m behind player awarded the ball. For fouls outside the 15m fan only - the player awarded the ball, can self start without waiting for additional whistle once the offending player is either 4m to the side or behind. All other players must stand, and be 4m away. Self start takes places at spot of foul so ball and player awarded ball must move to the spot to restart, unless ball is already within a stick length. Once self-start happens, all other players may start. When a player has accrued 6 penalty points she is suspended from the next match. If she accrues an additional 6 she will miss the 2nd match. Yellow card = 2 points, Yellow/Red = 4, Red = 8. A fantastic season of social lacrosse came to a fitting grand finale on Saturday 9 December with a four team round-robin modcrosse tournament. The four teams were the underwear rocking Fresh White Y Fronts captained by expats Louis and Caroline, who drew inspiration from the movie Braveheart in the opening ceremony with an interpretive dance to lead their troops into battle. Next we had the Full Okka Quokkas an Aussie cohort led by Juls and Jack. Their war cry "Aussie Aussie Aussie Oy Oy Oy" could be heard echoing throughout the campus. There was Team YAAAAS, with the rainbow warriors showing support for the historic yes vote for marriage equality. Best for last - The Mad Ferrets, were a strong (and fun) team whose neon and fake fur ensembles both intimated and confused opponents. The team was lead by Lina and Dan and the furries showed up ready to play and party. The round robin play was intense with all four teams showcasing their skills, sportsmanship (kind of) and team spirit. The Mad Ferrets took home the gold and highly coveted Fonz trophy for their excellent teamwork on attack and stellar saves from Tim in cage. The day also honored contributions and performance from outstanding team members with the annual Best and Fairest awards. The winners this year were Jared Neale for the men for his outbreak year, and seriously inspiring play at Nationals, East Coast Cup and Box Nationals and Ana Hunt for the women’s team after winning MVP at Nationals and Eastern States, her persistent positivity, her infectious smile and laugh, and her ability to unite the wombats in team-building shot-taking across Greater Sydney. Lastly, but certainly not leastly, 2017 Volunteer of the Year was presented to the very deserving Juls Austin for her valiant efforts organizing the annual East Coast Cup and Box Nationals pretty much entirely handily. 2017 was a fantastic year for New South Wales Lacrosse and we look forward to growing the game and being even more competitive nationally in 2018. Congrats to the Mad Ferrets who took home the coveted Fonzi trophy in the 27th annual Slacker's cups this past weekend. Now that our competitiveness has cooled, it's officially time for our final lax event of the year! With the help of the Australian Lacrosse Association and Quick Stix we are hosting an instructor training course (TOTALLY FREE) from 2-3.30 this Saturday 16 December. Following the course we will have our Christmas breakup BBQ and welcome our esteemed president back from the southern state. So come along to the course and enjoy some food and drinks with your lax pals after as we farewell a very successful year for NSW Lacrosse. If for some crazy reason you don't want to attend the course and just come for the food and drinks after we won't hold it against you....much. The New South Wales Men's Indoor Lacrosse Team... after a long day of tough competition. For the first time ever NSW Lacrosse was given the right to host the 2017 Men’s Indoor Lacrosse Championships after previous years of it alternating between South Australia and Victoria. We were lucky enough to secure the Max Arena venue in Smeaton Grange which, being an inline hockey sized centre, was perfect for the tournament. With this venue being in regional Western Sydney, which is an area of development and growth for us, we were keen to get the local council as involved as possible. We were lucky enough to be given financial support from Camden Council in the form of a grant to host the event, this wouldn’t be possible without Caroline and Omar submitting the application. Being given the opportunity by the ALA to host a National Event just goes to show how much of a presence we have created in Lacrosse in Australia again and how much we are growing as a state. Even from when I joined a little under three years ago I’ve seen the numbers of players and participation rates increase a lot and we can only go up from here. Hosting and participating in national events puts our state on the map and when people know about you that’s when we start to improve our relationships with councils and other sporting associations which leads to more opportunities from ALA and from local councils. These relationships are critical to us to grow the sport and to showcase just how much we can do. And the rest of the players who stayed around to pitch in all played their part in the tournament going well. Now for the fun stuff…the games! and break our guys were up again in the second game against South Australia. Whilst the South Australian team looked undermanned on paper with only 11 players they managed their players on the bench and shot out to a 6 – 0 lead after the first 15 minutes but piled on the penalties in the second quarter which meant the wombats had a few man-up opportunities and took advantage of them again with Matt, Dennis and Shawn scoring in the second quarter. Matt scoring the only goal in the third quarter and Andrew Patterson in his farewell game as a wombat (we miss you Patty) and Jared adding one each in the final quarter and our beloved Wombats wrapped up their tournament with a 6 – 24 result. champs) the Victorian side won their match-up comprehensively 20 – 8.
direction… am I right? Very wrong we all were! The South Australian team came out to play and play they did. Up 11-5 at half time they kept the Victorian side to just 3 goals in the second half while scoring 5 of their own and without a doubt the player of the match was the South Australian Goalie Dylan Nangle (if for some reason he reads this I’m sorry for constantly saying your surname wrong – totes soz). Secretary, New South Wales Lacrosse Inc. The 2017 New South Wales Indoor Lacrosse Squad (minus a few) with game faces on! 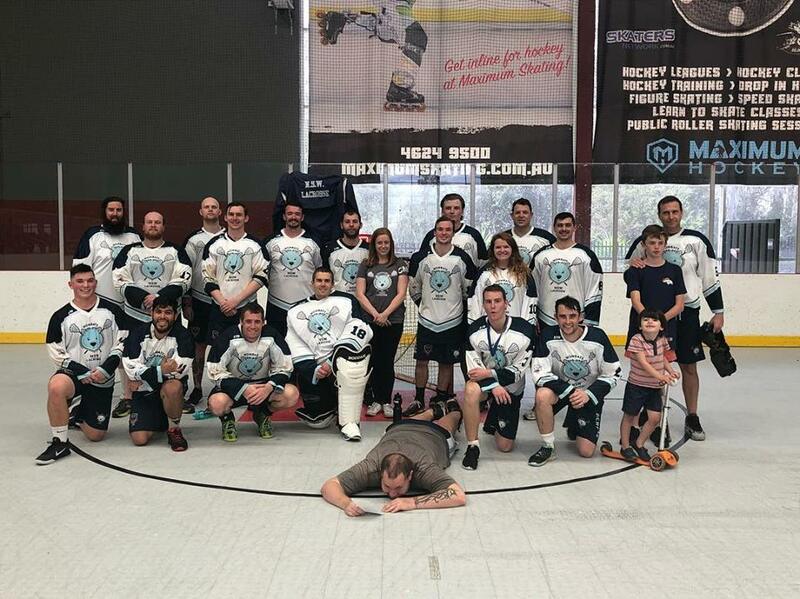 New South Wales has honor of hosting the 2017 National Indoor Lacrosse Tournament. The two day tournament will be held at Max Arena in Smeaton Grange, NSW on Friday November 17 and Saturday November 18. The President of the Australian Lacrosse Association (ALA) Mike Slattery recently welcomed all players, coaches, officials, fans, and support staff by stating that "The ALA is delighted to welcome teams from Victoria, South Australia and New South Wales to compete in this Championship. Sport is an important aspect of the Australian way of life and all participants are making a significant contribution to this great game." Play kicks off on Friday November 17 with round robin matches all day to determine the first and second seed for the championship game, which will be the showcase game on Saturday November 18 at 9 AM. This year’s East Coast Cup tournament was held in partnership with the inaugural Central Coast Council SportsFest. As one of many sports represented at SportsFest, we had the opportunity to showcase men’s and women’s lacrosse, played at the highest level in the Eastern States, to a local audience. 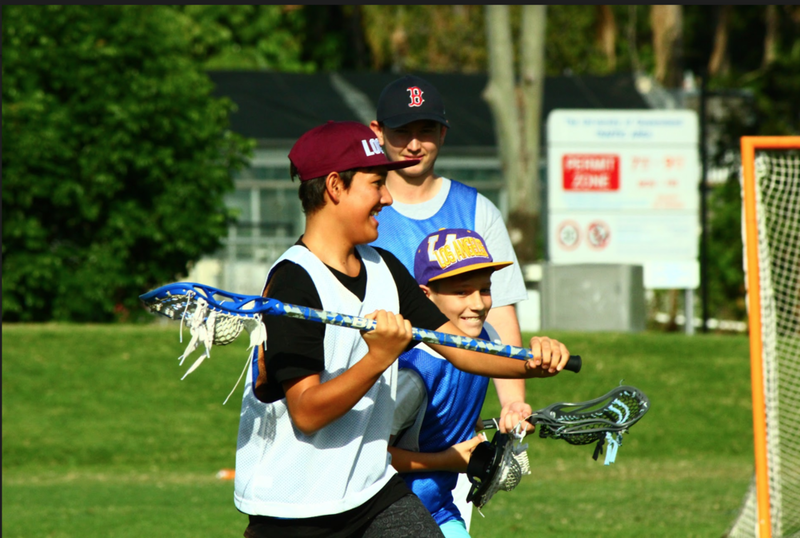 This festival was targeted as a prelude to launching the grassroots development of Lacrosse in the Newcastle and Central Coast region from 2018. We would like extend our thanks to the Central Coast Council, and especially Karen Lightfoot, for inviting us to participate in SportsFest and for providing the support leading up to the event that led to a very successful and enjoyable weekend for our competitors and supporters. The development of the East Coast Tournament over the past five years has been hugely encouraging. Originating as a men’s interstate tournament, it has expanded to include a very competitive women’s tournament in the past two years with a strong culture of long term player development taken by both States. This year the more experienced NSW contingent were better prepared for the hot, dry conditions and managed to wear down their opponents to record convincing wins over both days. The newer members from all teams showed great discipline, determination and heart throughout the weekend, giving us confidence in the future of the sport in our States. Over the coming months, our State Associations will be meeting regularly to identify a long-term vision and a set a strategy that will best serve our members to develop as athletes and prepare them for participation at the highest levels in Australia. We would like to thank our interstate officials; Tammy Varga, Amy Basile and Alan Frost. Without their contribution, along with locals Adrian Burns, Natasha Meyer, Caroline McLuckie and Peter Lee, this tournament would not have been possible. The East Coast Tournament has enabled the development of our own officials in the Eastern States in recent years and we would like to congratulate Tyler Nolf (NSW) for earning his stripes as an umpire under the mentorship of Tammy and Caroline. We acknowledge all of the competitors for the spirit in which they played the sport this weekend; they were a credit to their coaches, managers and States. Thank you to all of the people who supported our participation clinics for local youth and in particular Britt Faulkner and Kelsey Sutcliffe for taking the time to plan the interactive games. We were able to showcase the best aspects of lacrosse to our hosts and spectators placing us in the best position to grow the sport in the region. The alternate players for NSW women must be credited for their grace and sportsmanship in supporting the Queensland team; ensuring a competitive women’s event. Finally, we are very grateful for the long hours, many emails and hours of stress endured by Juliet Austin, in organising the tournament and coordinating the participants from both States. Without her efforts, this event truly could not have taken place. We all look forward to 2018 and the next stage in developing our sport in the Eastern States! New South Wales Lacrosse Inc. In case you don't follow us on Facebook here's a rundown of upcoming opportunities to watch and/or play. Modcrosse is mixed gender, non-contact, social lacrosse with a soft ball. It's super fun and fast-paced! Let's pick up those basic stick skills before field and get some quick action lacrosse again. Location from now on will be at UNSW in Kensington. Lets get the game growing there and get us more teams going. Follow us on Facebook for the most up-to-date news and info about upcoming matches and playing opportunities. Located at 166-180 George St in Redfern, we've decided to mix up the training location and go back to the NCIE for East Cup training. Everyone is welcome to come play even if you can't make East Cup. For those coming to East Cup cost will be included in your East Cup fee. We will be organising group accommodation nearby but if you have any certain requirements (e.g couple/staying with friends/staying at home) please let us know and we can work towards a solution! As per usual you must be a registered, insured and financial player to be involved in this tournament! If you are interested please send us an email to performance.nswlacrosse@gmail.com. For all the fellas - Box Lacrosse Nationals will be held in New South Wales this year! That's right - no more need to travel to middle of nowhere in South Australia. They are coming to the South West of Sydney on 17th and 18th November. Expressions of interest requests will be requested end Aug/beginning of September with training venue for October sessions TBC. Time to start getting pumped for some quick action lax. On Sunday July 30 the New South Wales Wombettes hosted three matches against current U.S. collegiate players. With the addition of 10 experienced newcomers to the club, it was the first time that many of the team had played together and we were excited for the challenge of playing three back-to-back games with so many new faces. We started off the first game strong, with an awesome goal from Melie Pemberton about two minutes into the match. Pemberton was our rock on attack and scored the only three goals for the NSW side, but the 3-15 score wasn't an accurate reflection of the first game's possession. The strong combination of Emma Agnew, Melie Pembeton, and Bec Putna on attack lead to some impressive offensive possession and midfield transitions. Jo Kennedy stepped it up in cage and stopped many of the opposition's attempts on goal. The second match was always going to be the toughest. The defense team was led by Tess Clancy in goal, with Jess Jones, Jaclyn Lehrer, and Kelly Matarazzi playing strong man-to-man low defense on the field. We managed to hold the competition to only 14 goals, while notching in 7 goals ourselves from 7 different players. A solid result from the strongest team we would face all day. The last game was the closest by far and we stepped on the field hungry for a win. We managed to equalize the score to 4-4 at halftime. With the sun quickly setting, and our legs tiring, the opposition managed to squeak in just one more goal than the Wombettes, closing out the day's game play with a very near win and a result of 8-9. We had 8 goal scorers on the day (most of the goals coming from assisted passes) which included some seriously awesome shots from Melie Pemberton, Emma Agnew, Britt Faulkner, Bec Putna, Charlotte Clulow, Risa Sakikubo, Pippa Bergqvist, and Erica Ackerstierna. NSW Lacrosse is very proud of the effort and intensity put in by everyone who played. We played with heart and poise for three full games against young teams in peak condition. We are very encouraged by the addition of these new teammates and are excited to bring an even more experienced team to represent New South Wales in the 6th Annual East Coast Cup in September. Hopefully this turnout represents the growth of the game in NSW, and that we can use this momentum to keep recruiting more and more experienced and new players! Many thanks to Caroline McLuckie for coordinating absolutely everything, and objectively umpiring alongside Juls Austin, and to our coach Omar Al-Khayat for his game knowledge, insights, and enthusiasm! The 2017 AGM will be held on Saturday 26 August at Rum Fire Restaurant, Shop 2151, 122 Lang Road, Moore Park (The Entertainment Quarter) commencing at 5pm. Nominations are now called for the positions of Directors of the Association for 2017-2018. There are a total of two (2) NSWLI Director positions to be voted on. If you would like to nominate yourself or someone else, please fill in the Director Nominations form and return to the NSWLI Secretary by email at secretary.nswlacrosse@gmail.com. This form is required to be completed for each Nominee and lodged by 12:00 (AEST), Wednesday 16 August. Please send any questions to the NSWLI Secretary by email at secretary.nswlacrosse@gmail.com.